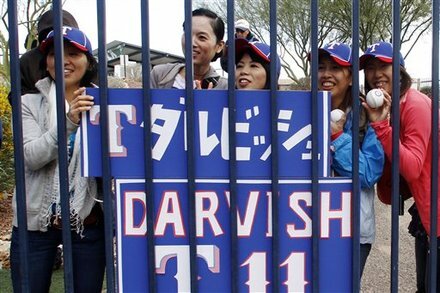 Yu Darvish (ダルビッシュ 有 Darubisshu Yū?, full name Yu Darvishsefad; born August 16, 1986, in Habikino, Osaka) is a Japanese starting pitcher for the Texas Rangers. 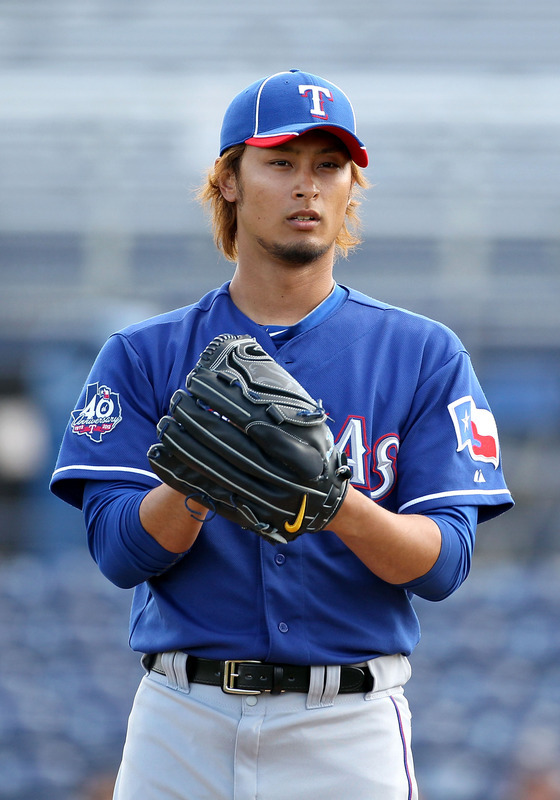 Darvish pitched in the 2008 Beijing Olympics as well as the 2009 World Baseball Classic as a member of the Japanese national team. At 25 years of age, he is considered by many to be the best pitcher in Japanese professional baseball. With a win over the Yanks, he is 3-0 and probably his best start in this young season. 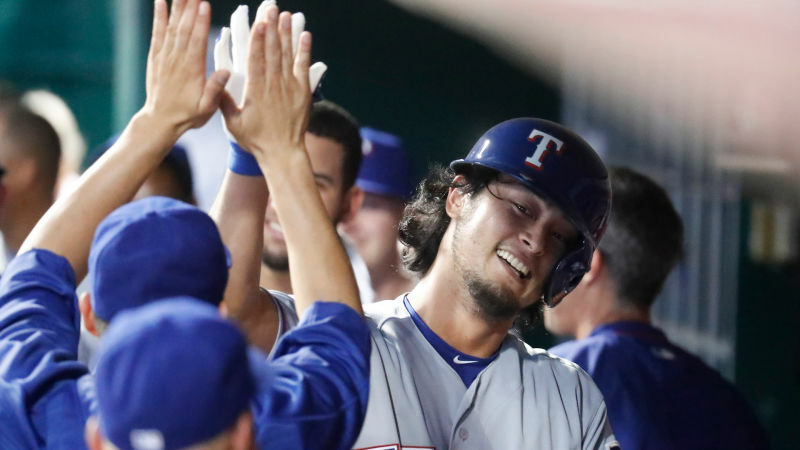 On February 23rd, major league baseball player Yu Darvish (28) announced through his blog that his girlfriend, former world wrestling champion Yamamoto Seiko (34) is expecting their child. Darvish reported, "This is a private matter, but Yamamoto Seiko-san, whom I have been in a relationship with for some time now, and I have been blessed with a new life." He continued, "We learned about this late last year, but we waited on announcing it until after she entered her stable period. We haven't made plans on registering our marriage yet, but it would make us happy if you'd understand that we are seeing each other with intents of living our lives together. I ask that you'd please continue to support us." 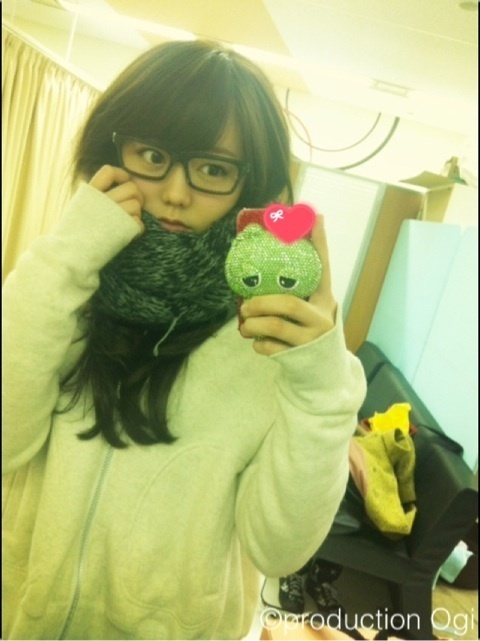 Fans responded to the happy announcement with comments such as, "Thank you for the happy news. Please build a wonderful family together with Seiko-san," "You're going to have a family full of athletes! A baby with extreme DNA will be born. Congratulations!," and "I hope the baby will grow up to be an athlete who will represent Japan like the two of you. I'm getting too far ahead of myself. I apologize for meddling." Out for the season and more. He hits his first homer!